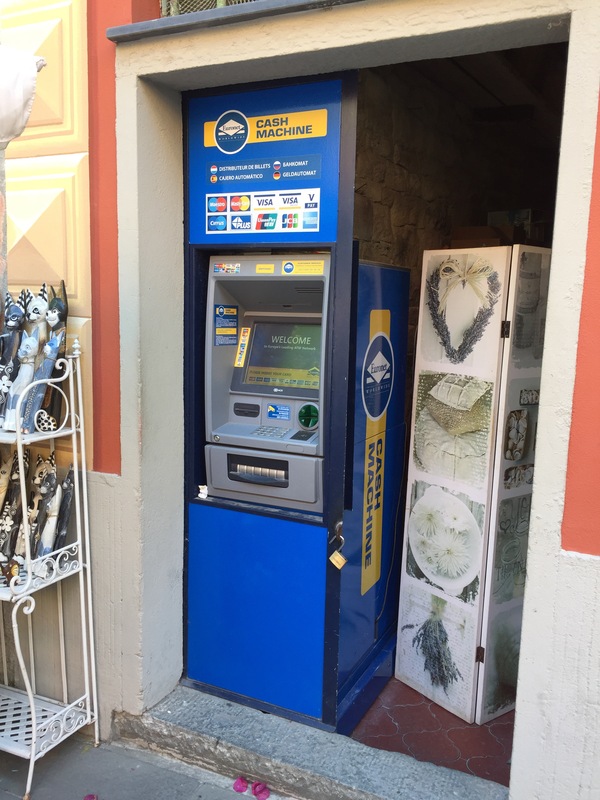 This year we’ve seen quite a few new ATM cash machines pop up in central, high-traffic locations throughout the Cinque Terre. The convenience of these new machines is enticing as the traditional bank ATMs are usually a tad further away (or a bit harder to find). But be warned, you’ll pay a high price for the convenience. Mind you, his card was specific for international travel and offers ATM withdrawals abroad for just €2.50 per transaction. The card was also in local currency so there was no issue with exchange rates involved. That means he paid €67.47 in ATM fees to Euronet (the company that owns the ATM). After researching a little online it was soon clear why these portable ATMs are popping up at bars, cafés & shops. Apparently Euronet pays a good chunk of change to business owners who simply place the ATM at their storefront: reportedly €400 per month plus a percentage of sales if a minimum threshold is reached. It’s easy, hassle-free income (the machines are serviced and maintained by Euronet) and helps offset expensive rents and whatnot. I can understand why a business owner might be swayed to host one of these ATMs but I cannot excuse Euronet for taking advantage of unsuspecting travelers. Keep in mind, Euronet isn’t the only company scalping ATM users through exorbitant fees and inflated exchange rates. Other companies with similar strategies are Travelex, YourCash, Cardpoint and Cashzone. Beware of any ATM that looks mobile. You’ll encounter these storefront ATMs throughout your travels as they are becoming quite commonplace (they are oftentimes found in airports, close to shopping districts and other points of interest). In other words, this is by no means a problem isolated to the Cinque Terre, or even Italy for that matter. Granted, these storefront ATMs have the advantage of allowing for larger sums of cash to be withdrawn in one transaction (albeit at a hefty cost). Most bank ATMs have much lower limits (e.g. €250 per transaction) so if you need a large sum you’ll need to perform multiple transactions (although I’m certain that the cost of multiple bank ATM transactions would be inferior to the cost of one Euronet transaction). My recommendation? 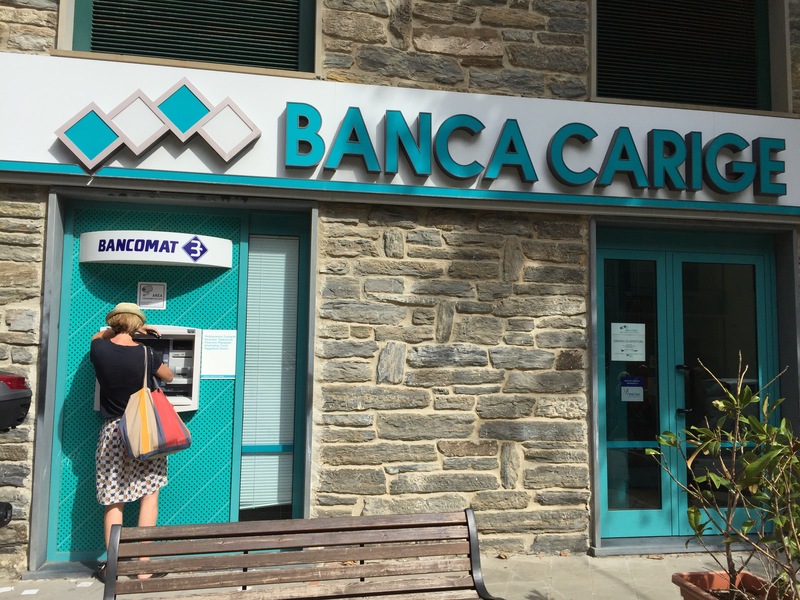 Look for bonafide bank ATMs (called bancomat in Italian) which will offer rates and fees at more honest rates (banks have a higher level of accountability). 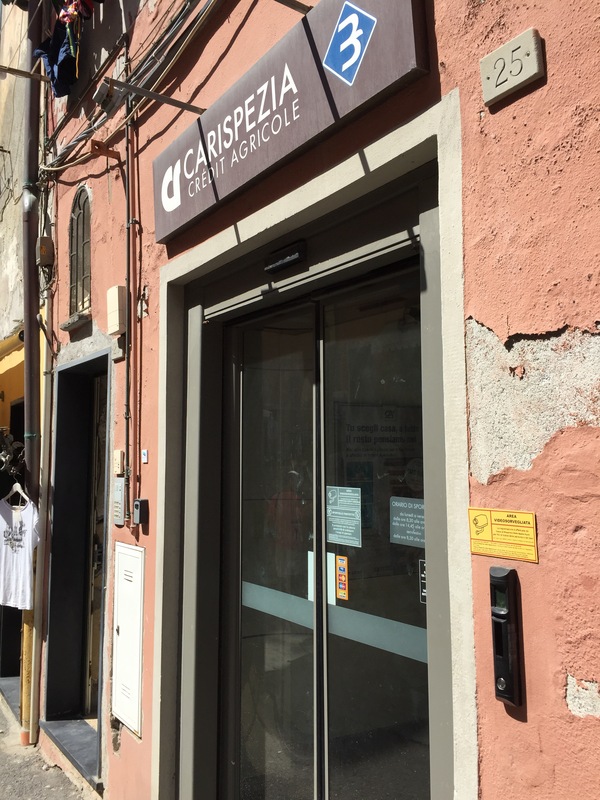 CARIGE, located on the main street (via Colombo) next to the Coop grocery shop and across the street from Mamma Mia take-away. This ATM is easy to spot as it’s directly on the street (mounted in the bank wall). CARISPEZIA, located on the piazza at the Riomaggiore train station; this ATM isn’t quite as easy to spot. 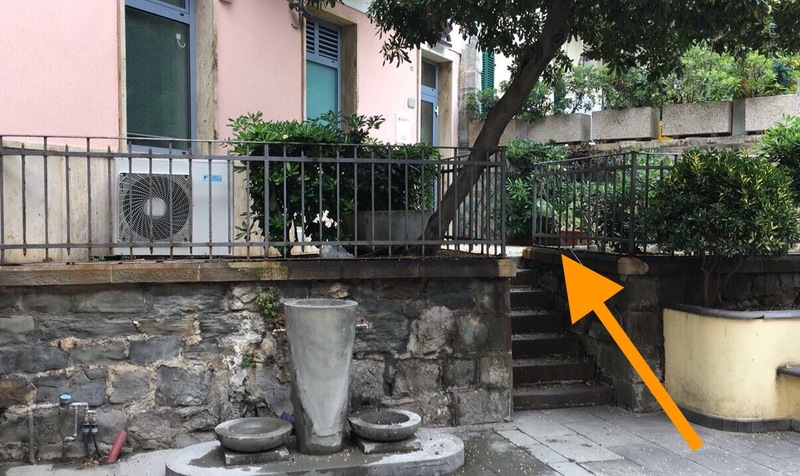 First, look for the bank which is located in a light pink building up a few steps from the piazza. To reach the ATM (which is available 24/7), you’ll need to push the button at the entrance door to enter the secure space where the ATM is located. 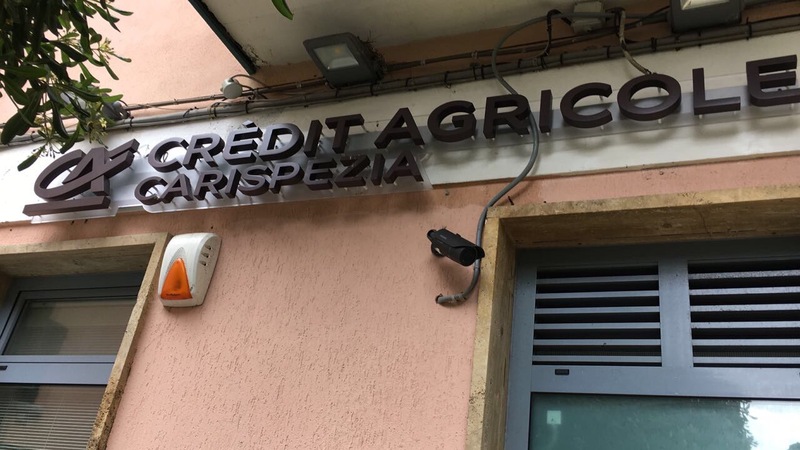 You’ll find a CARISPEZIA bank ATM on the village’s main street (via Discovolo). When you exit the tunnel from the train station, make a right and walk a few meters up the main street. You’ll see the ATM on your right. 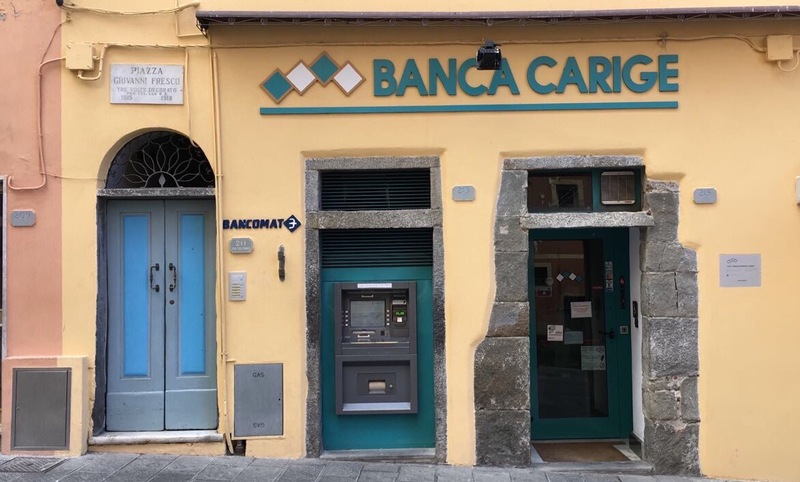 You will find a CARISPEZIA bank ATM on the main street, about halfway between the train station and the main piazza on the water’s edge. 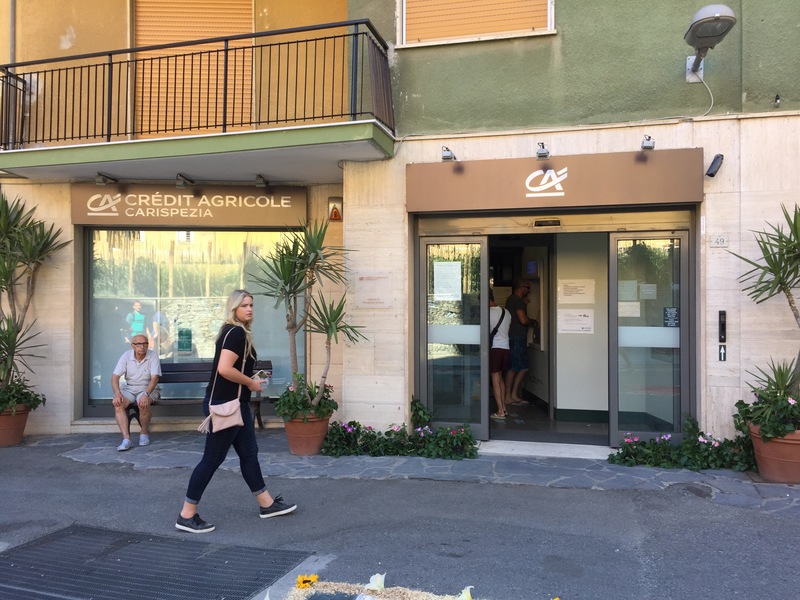 The other ATM is CARIGE bank and it is located at the top of the village. From the train station, head uphill on the main street and you will run into the bank on your right. A CARISPEZIA bank ATM located at the train station (but on street level). A CARIGE bank ATM located next to the ferry ticket counter (in Monterosso Vecchio, near the beach and docking area). 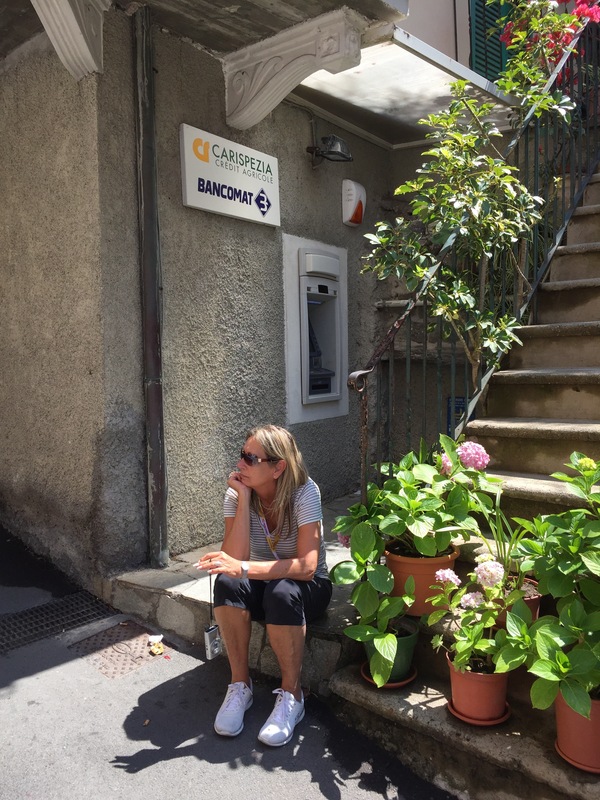 And lastly, a CARISPEZIA bank ATM on the main street in the historical center of Monterosso. You’ll need to walk all the way up the main street until you see the bank on your left. Push the button to enter the secure space where the ATM is located. 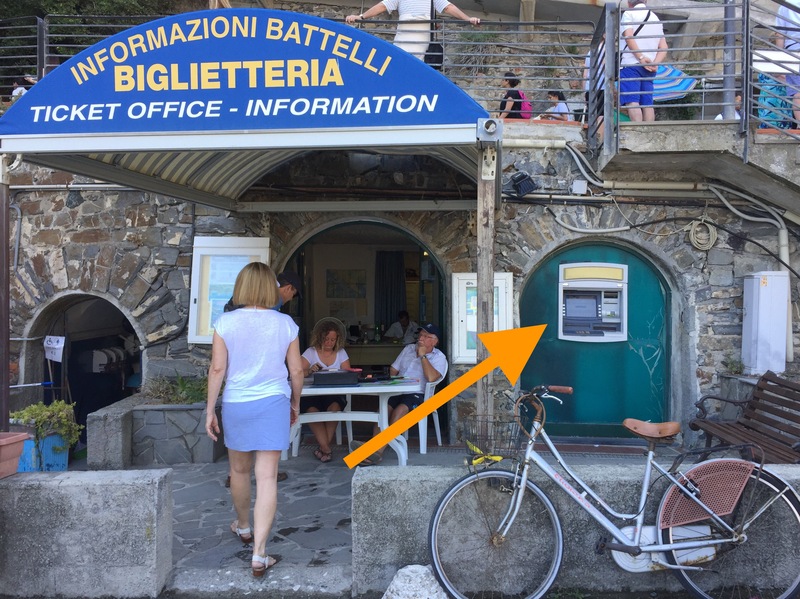 I plan to update this post with photos and locations of bank ATMs in the other villages as well (each village, even teeny-tiny Corniglia, has its own bank ATM), but I thought the most important thing was to get this information out there ASAP. I’ll be in Riomaggiore next week, and this is super helpful. Thanks! Hi Amy – thanks and well done for flagging this Euronet ATM scam. The victim in question was me! 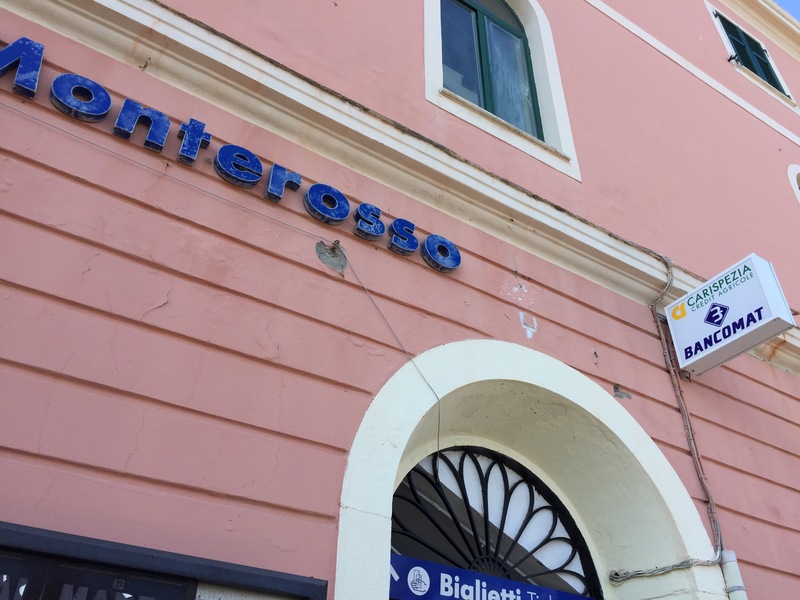 I actually did a 2nd transaction in Riomaggiore and thought I was drawing 900 Euros – they took 998 Euros from me and then charged me a “purse conversion fee” of 98 Euros!! Both transactions lost me 269 Euros, not bad for two withdrawals. 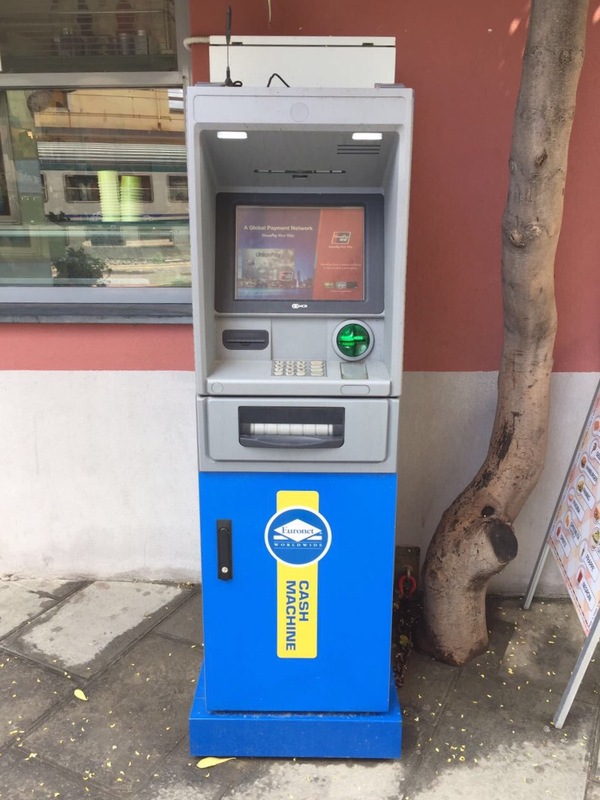 I cannot believe the authorities allow these ATM’s to exist – the fact is they are all over the place and very often the only option to use in some locations. I’ve made a claim against the issuer of my travel card and will see if there’s any chance of reimbursement. By the way, apart from this nightmare, Riomaggiore and the Cinque Terre was fantastic! I’m sorry to hear of your misfortune but thanks for allowing me to spread your story in order to warn other travelers. Thank you so much for sharing your experience, Chris – and thank you Amy for sharing!!! I’ve been reading your blog for about 2 days straight now. Such awesome information. strange.. just checked my bank statement and euronet was the only atm not charging me an extra ~£0.50 fee! Lucky you! But 50 pence is really nothing in the grander scheme of things. How much were you charged to withdraw cash? More specifically, how much did you withdraw and how much was pulled from your account? 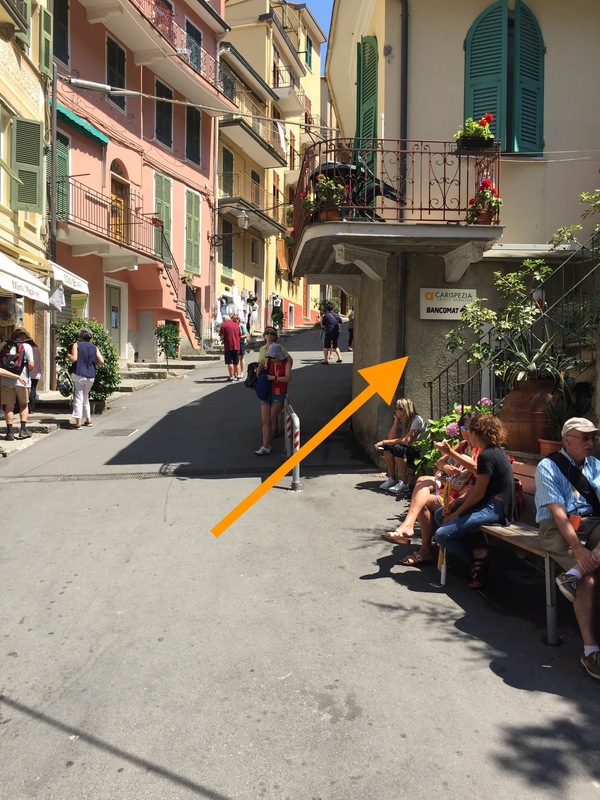 Next Next post: What’s the Cinque Terre Express?